The year is 1985. A 22 year old Brian O'Toole's greatest desire at the time was to be in a rock band. Here is the first song he wrote. The above lyrics are the original scribblings in a yellowing dream book filled with so many more metaphorical songscapes. 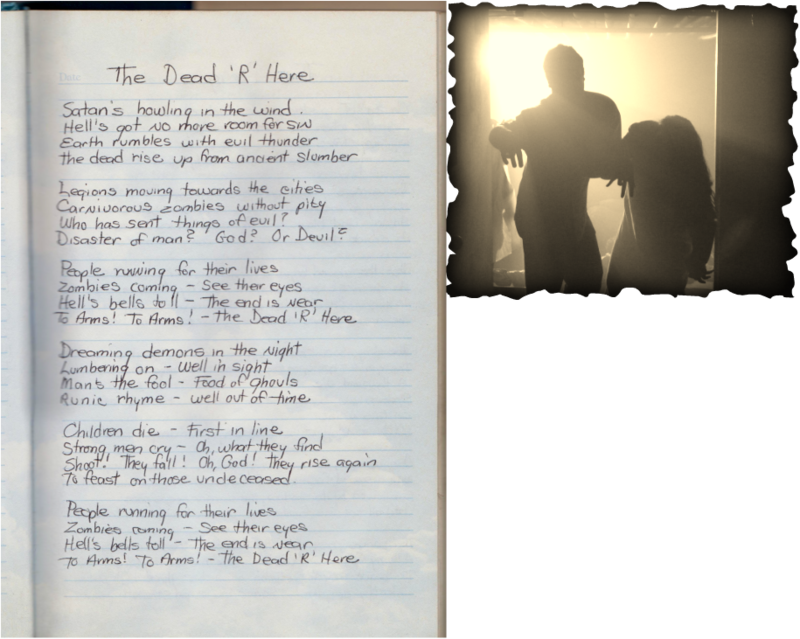 Please enjoy "The Dead 'R' Here" which has been recently resurrected from a 1985 cassette recording. The "hisses" are free... You're welcome!